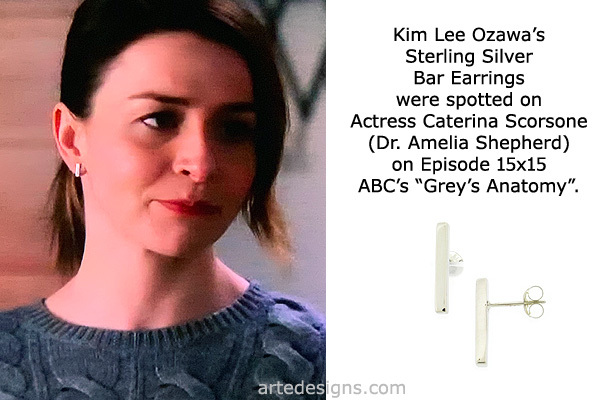 Handmade Jewelry As Seen On Grey's Anatomy "Dr. Amelia Shepherd" (Caterina Scorsone), Episode "We Didn't Start the Fire”. Click to buy earrings like this. 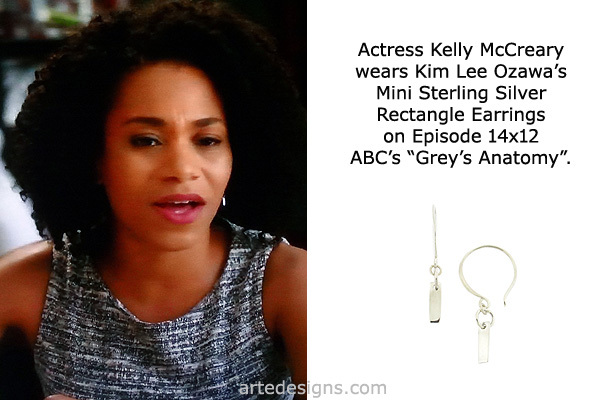 Handmade Jewelry As Seen On Grey's Anatomy "Dr. Maggie Pierce" (Kelly McCreary), Episode "Harder, Better, Faster, Stronger”. 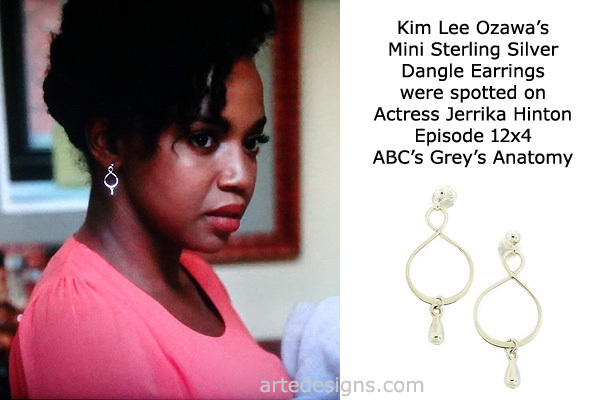 Handmade Jewelry As Seen On Grey's Anatomy "Dr. Stephanie Edwards" (Jerrika Hinton), Episode "Guess Who's Coming To Dinner”. 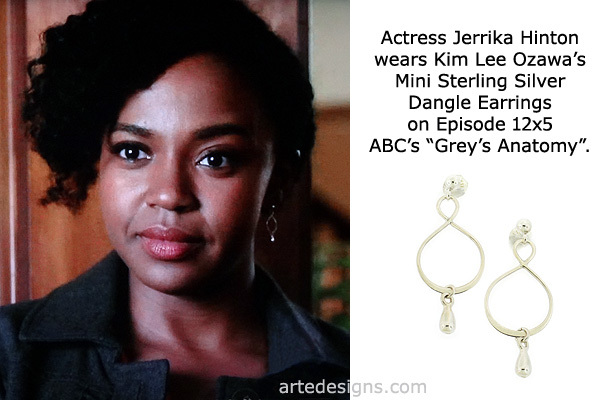 Handmade Jewelry As Seen On Grey's Anatomy "Dr. Stephanie Edwards" (Jerrika Hinton), Episode "Old Time Rock and Roll”. 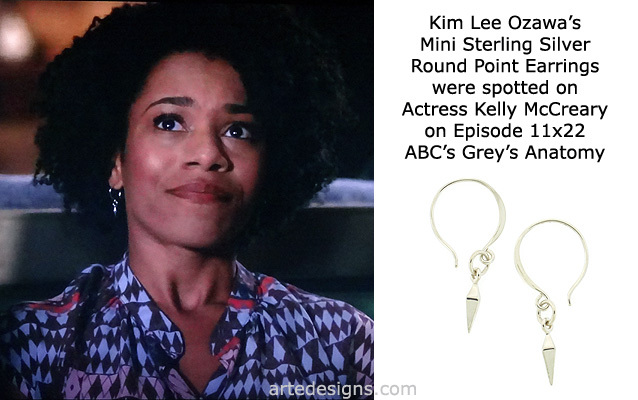 Handmade Jewelry As Seen On Grey's Anatomy "Dr. Maggie Pierce" (Kelly McCreary), Episode "She's Leaving Home”. 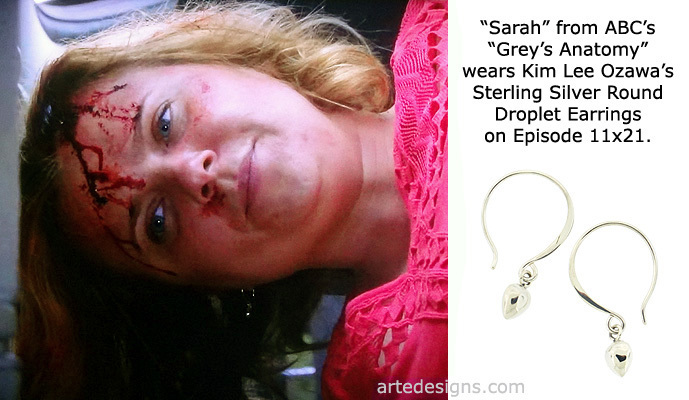 Handmade Jewelry As Seen On Grey's Anatomy "Sarah", Episode "How To Save A Life”. 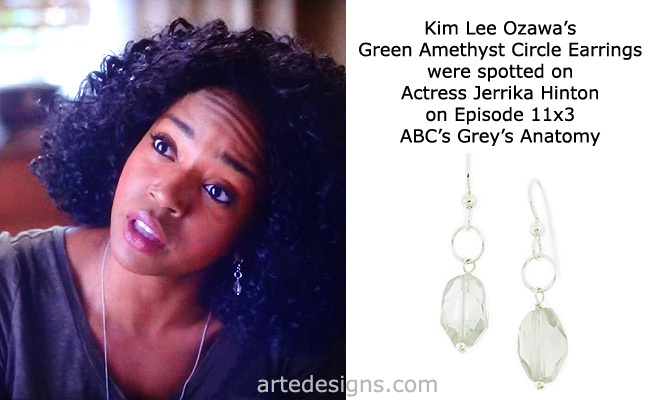 Handmade Jewelry As Seen On Grey's Anatomy "Dr. Stephanie Edwards" (Jerrika Hinton), Episode "Got To Be Real”.